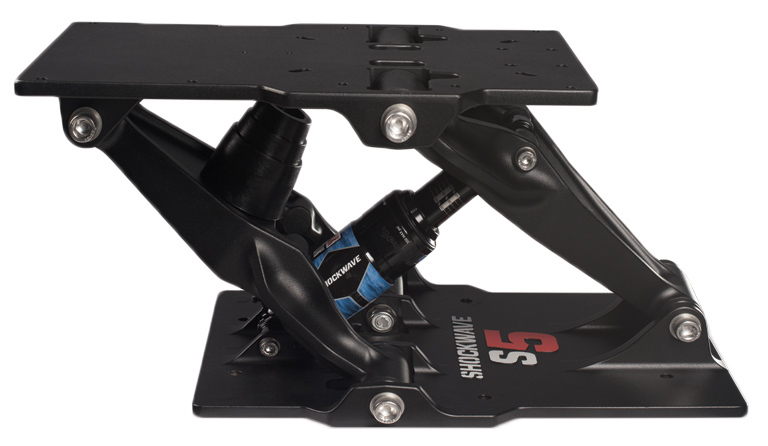 The SHOCKWAVE S5 provides boaters access to the marine suspension technology that Shockwave has tested for years with military clients. The new suspension module, using a fully adjustable Rockshox shock absorber, allows boates to be better protected from the shock of wave impact. The new S% fits on virtually any boat and seat, allowing boated of any size or design to benefit from suspension seating on the water.